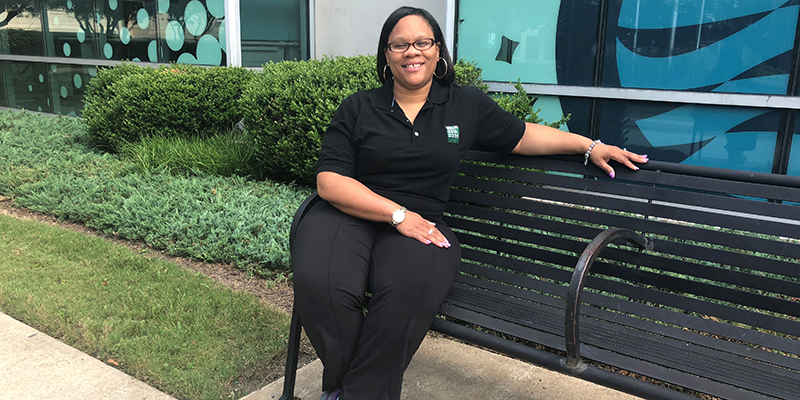 “TCC’s programs are a doorway to get people to where they’re going to be needed in the future,” said Christina Jackson, who teaches building code to students in Civil Engineering Technology and Construction Project Management. If learning building codes sounds dry, you’ve never taken Christina Jackson’s class at Tidewater Community College. The code team leader for the City of Norfolk uses real-world examples to make the International Residential Code come alive to a classroom of contractors, veterans, future engineers and recent high school graduates. Better yet, her class prepares students for a certification exam that, upon passage, makes them eligible to be a building code inspector or plan reviewer of I and II family homes. Salaries start in the $40,000 range. Complete TCC’s Career Studies Certificate in Construction Project Management or Associate of Applied Science in Civil Engineering Technology, and you could go even further. “TCC’s programs are a doorway to get people to where they’re going to be needed in the future,” Jackson said. The Dayton, Ohio, native fell into the field after starting as an accountant. She began her code inspection career with a national corporation that did building code enforcement for different localities in the greater Cincinnati and Dayton areas. Jackson transitioned into an inspection role and found a career path that appealed to her “community first” attitude. “If you’ve ever seen the show ‘Hoarders,’ I was the one from the city telling you to clean up your house,” she said with a laugh. The most tedious detail is relevant. Jackson incorporates a virtual inspection into the class so students can decide if a building passes or fails. Learning building code is a portable skill; Jackson is the wife of a Navy chief stationed at Joint Expeditionary Base Little Creek. She was able to easily transition to an inspection job in Newport News after working in Ohio and ultimately landed at the City of Norfolk in 2011. It’s not unusual for her to manage 20 inspections in one day. As one of the region chairs for the Virginia Building and Code Officials Association, she has an eye out for jobs for qualified students. Jackson is also a founding board member of Women in Code Enforcement and Development; she currently serves as the vice president of the Virginia chapter. She aspires to be a chief building official and enjoys introducing the field to self-motivated students. Reach out to Jackson with questions at cjackson@tcc.edu.